Police in Tarpon Springs say a 25-year-old man shot and killed his father and then called 911 on himself. Police are investigating the shooting as a domestic homicide. 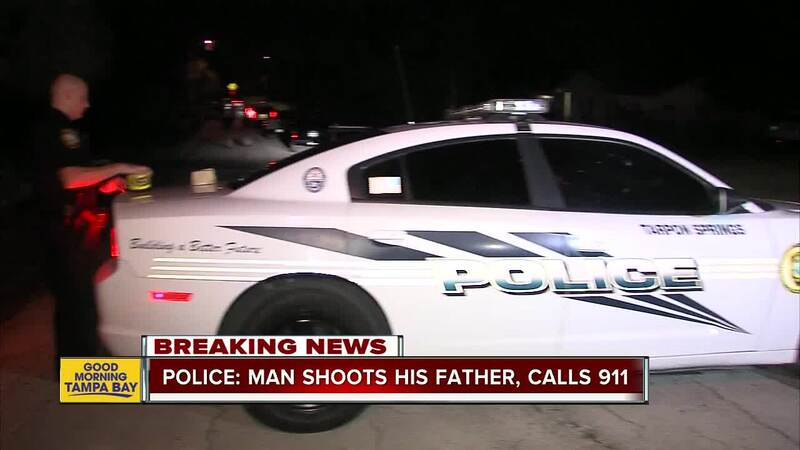 Police responded to a home in Tarpon Springs early Tuesday morning after a man called 911 and said he shot his father. The call came in at approximately 1:02 a.m. Evan Costello, 25, called 911 at approximately 1:02 a.m. and told dispatchers that he shot his dad. Evan told the dispatcher he was waiting in the driveway for police to arrive. When he was asked what happened, he mentioned his dog and said the dog ate one of his dad's pills, which upset him and they were arguing before the shooting. He told the dispatcher the dog was at the vet and that the gun was his. Officers arrived on scene at the home located on Lonesome Pine Lane and found 68-year-old James Costello dead in a bedroom on the third floor of the home. Evan Costello, James' son, was taken into custody and has been charged with first-degree murder. He was booked into the Pinellas County Jail. The scene has been secured and investigators are working on obtaining a search warrant for the home through the State Attorney's Office. Police say the two men were the only people in the home at the time of the shooting. Police are investigating the shooting as a domestic homicide.